Media Mic looks at a bad part of the budget. Do they really understand what life is like in the real world, and what it is they do to people. 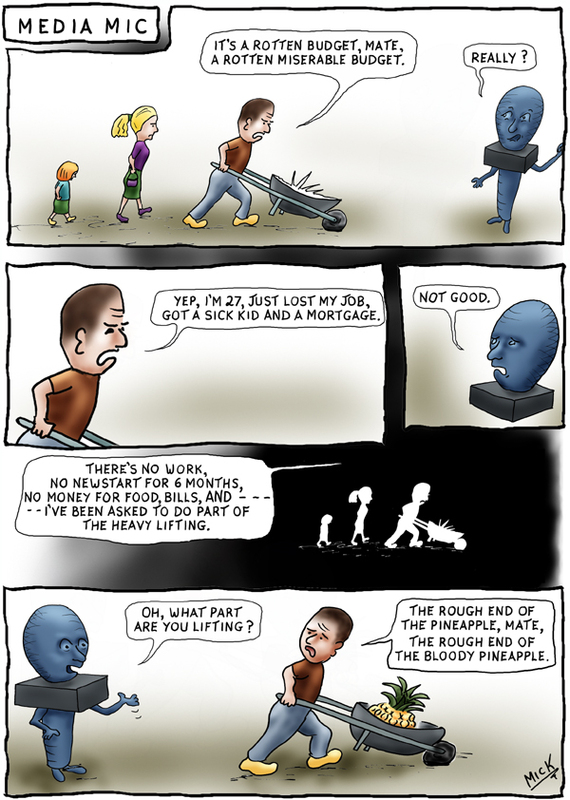 Posted on May 15, 2014, in Cartoon, illustration, humour, humor, caricature, political, art, Australia, Perth, cartoonist, Illustrator and tagged abbott, Australia, budget, Cartoon, cartoonist, dole, Family, Government, humor, humour, jobs, media, News, Perth, Political, politician, spin doctors, unemployed. Bookmark the permalink. Leave a comment.